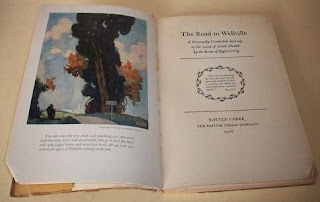 You will note the glowing reference in the ad from the Postum Cereal Company, an organisation renowned for its catchphrase, "The Road to Wellville". "The Road to Wellville" was the title of a promotional booklet distributed with Postum products and the phrase was later used as the title of a novel by T.C.Boyle (Olivetti Studio 44 user, not Lettera 32, as claimed elsewhere) which was turned into a movie by Alan Parker starring Anthony Hopkins as John Harvey Kellogg. 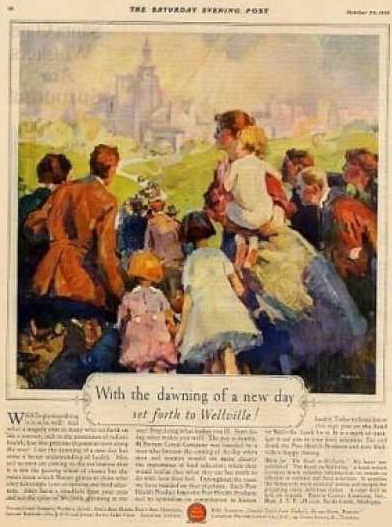 Charles William Post apparently was a former patient at Kellogg's sanitarium who was inspired by Kellogg's diet there to found his own cereal business. 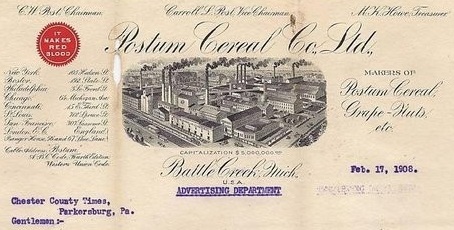 Postum was founded by C.W.Post in 1895 to sell a “cereal beverage” developed by Post in Battle Creek, Michigan. Postum Cereals acquired Jell-O gelatin in 1925, Baker's chocolate in 1927, Maxwell House coffee in 1928, and other food brands, and changed its name to General Foods Corporation in 1929. General Foods was acquired by Philip Morris in 1985. In 1989, Philip Morris merged General Foods with Kraft Foods to form the Kraft General Foods division. The cereal brands of Nabisco were acquired in 1993. 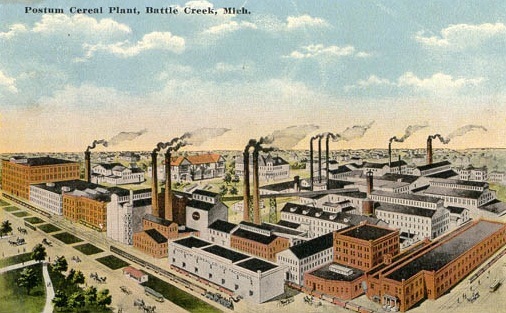 In 1995, Kraft General Foods was reorganised and renamed Kraft Foods. Postum is now known as Post Foods LLC. 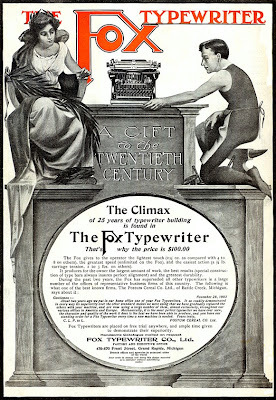 In one way or another, Collier's continued to promote Fox typewriters, on its back or front pages, as you will note from the machine being used by this familiar-looking young man (with the familiar typing action!) 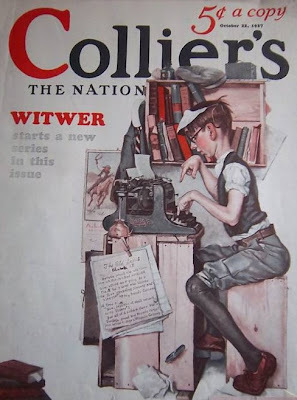 on a lovely Collier's cover in 1927, six years after Fox went out of business. Interesting! 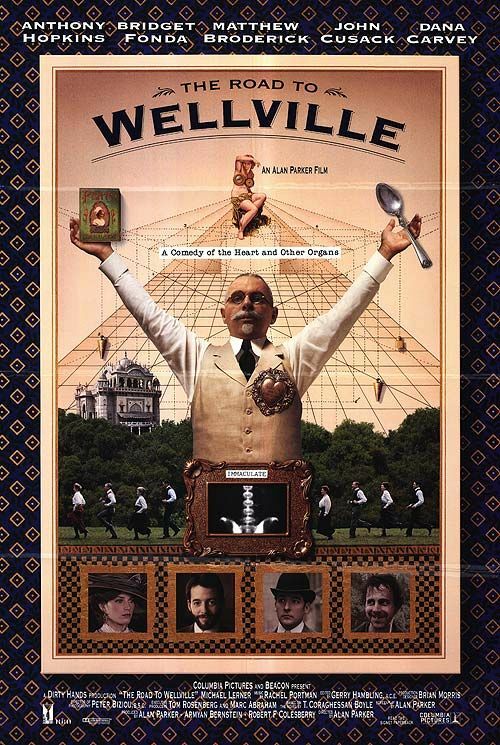 I didn't know the Wellville story and hadn't seen most of these ads. The use of an unmistakable Fox on the Collier's 1927 cover (by Norman Rockwell?) is neat. $100 was the typical price for a typewriter for decades, although some makes tried to undercut it. Great site! Harrison McCreary was the artist in question. 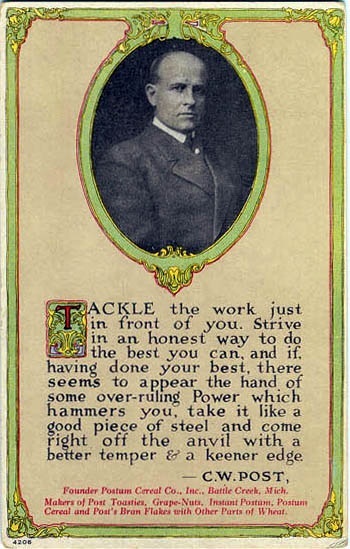 He did four covers for “Colliers”; one for “Everybody's Magazine” and two for “The Saturday Evening Post” dating from 1925 to 1929. 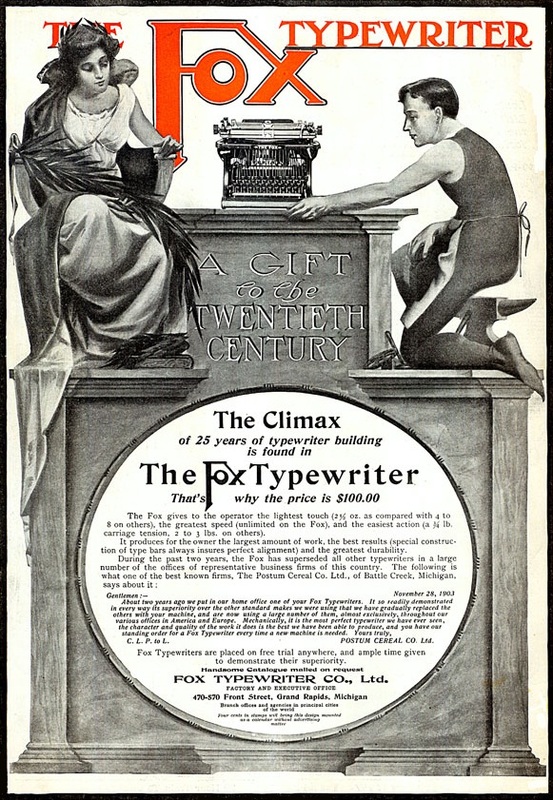 It's interesting to speculate how Fox met its end... WR Fox sold his interest in the typewriter business at its peek in 1915. International sales were hurt with the advent of WW1; sales reps hard to find due to labor shortages and deep discounting in the years soon after compounded the problem. It seems the company did not have the equity to fight it's legal woes (despite a true patent) forcing it to liquidates after only 23 years in business. 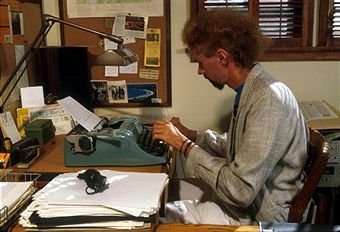 The Fox, though, is one heck of a great typewriter!!! My grandfather was Fred R. McCreary, Harrison McCreary's brother. I have been poking around the web searching for my H. McCreary's magazine covers. 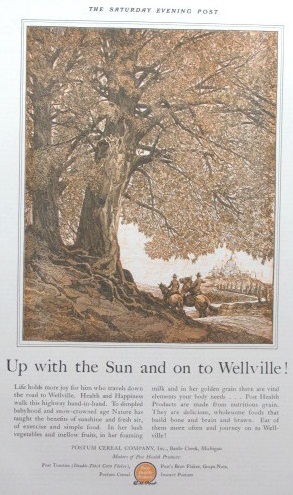 Are you saying that the above October 22, 1927th Collier's cover was illustrated by Harrison McCreary? Would love some confirmation on this thanks. It's been rough-going finding 2 of the other Collier covers he did. Thanks ahead of time for any info you can share!